I’ve been reading Charlotte Brontë’s Villette and ruining a perfectly good book as I can’t help but scribble in the margins. However, I think Lucy Snowe’s wisdom is worth every mark of my pen. 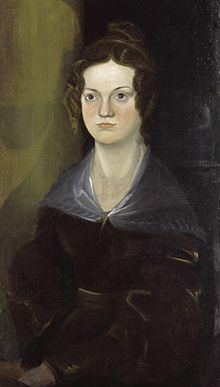 Charlotte_Brontë by Patrick Branwell BrontëLucy reminds me of Anne Elliot from Austen’s strong butwith a servant’s heart. Lucy reminds me of Anne Elliot from Austen’s Persuasion; strong but with a servant’s heart. One thing I adore about Bronte’s writing is her use of imagery particularly in Villette’s hallucinatory scene where Lucy’s perception is distorted. Charlotte often refers to Biblical characters in her books. Her analogies name minor prophets and the obscure (similar to the way Edith Wharton uses mythological character references in her books, which Charlotte makes use of as well). Charlotte, as we know, was a student of art…but also of Scripture. As a reader and believer, this imagery endears me even more to dear Charlotte. I found the below video on youtube today (see link below). It’s from an auction event. And what an amazing item to appraise! Oh! How I would love to see Charlotte’s very own scribbling in the margins! Christy, I just finished the book last night. Oh my! Lots of twists and so very sad. But well worth the time. I’m starting Shirley tonight! Will you be reading that next? Isn’t it wonderful?! Particularly the trance scene.